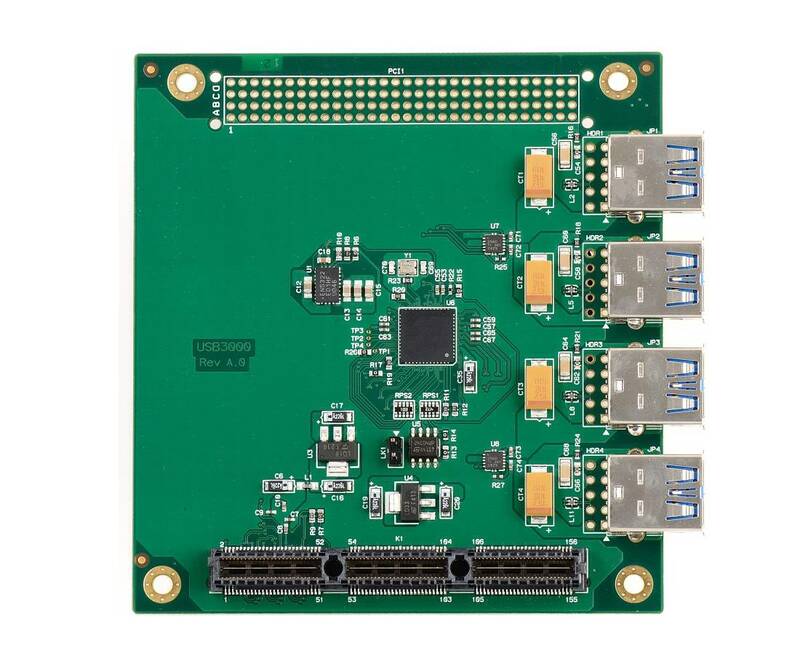 The USB3000X is a 4 port USB 3.0 controller card for PCI/104-Express systems. The USB 3.0 controller is xHCI compliant that supports all USB 3.0 device speeds. The USB3000X is an ideal way to add USB 3.0 devices to a PCI/104-Express system. The USB3000X provides four USB 3.0 Type A connectors and is backward compatible with USB 2.0 and USB1.1 devices. The USB3000X supports 5Gbps Super Speed devices as well as High Speed (480Mbps), Full Speed (12Mbps) and Low Speed devices (1.5Mbps) devices. The USB controller has best-in-class adaptive receive equalizer design that maximizes the performance when using long cable lengths. The USB3000X is supported by drivers for Windows and Linux.